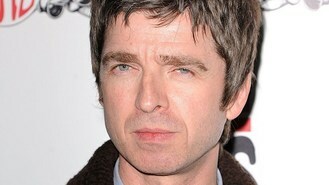 Noel Gallagher has said he would still be working as a roadie if his music career hadn't panned out so well. The Oasis star turned High Flying Birds singer worked on the road for indie band the Inspiral Carpets during the late 80s before rising to fame with his brother Liam. Noel said: "I would have been out there now, probably in an ill-fitting black T-shirt with a tattoo and some scruffy Converse trainers. Because that is what they all wear. "But I was maybe the best-dressed roadie in the history of music. I used to wear white jeans and never got them dirty. I was too quick for the dirt," The Sun quoted him as saying. Oasis split up three years ago after an argument between the brothers backstage at a concert in Paris. Noel wrote Oasis hits including chart-toppers Don't Look Back In Anger, Some Might Say and Go Let It Out. He launched his solo career in 2011. His debut solo album made it to number one in the album chart. Noel has just confirmed the release of his first solo live DVD on October 15.
International Magic Live At The O2 will feature the full gig from his performance in February this year plus footage of his performance from the NME Awards, where he was crowned Godlike Genius 2012. The Stone Roses have played a tribute to football legend George Best in his home city. Tulisa Contostavlos has criticised music fans who hurled a bottle at singer Cher Lloyd when she was performing on stage. Celine Dion has revealed she's got a bit of a girl crush on Adele. Lana Del Rey has been named as the new face of Jaguar. One Direction star Zayn Malik has quit his Twitter account, saying he's had enough of the abusive messages. Jedward have taken credit for "reinventing" The X Factor as a show that finds stars, not just singing talent. Lily Allen has wowed fans across the pond when she made a surprise appearance on stage with Pink. Alanis Morissette has joined the ranks of Eric Clapton, Stevie Wonder and Jimmy Page after being inducted into the RockWalk in Hollywood. Avril Lavigne and Nickelback frontman Chad Kroeger are not just making music together. They are getting hitched.